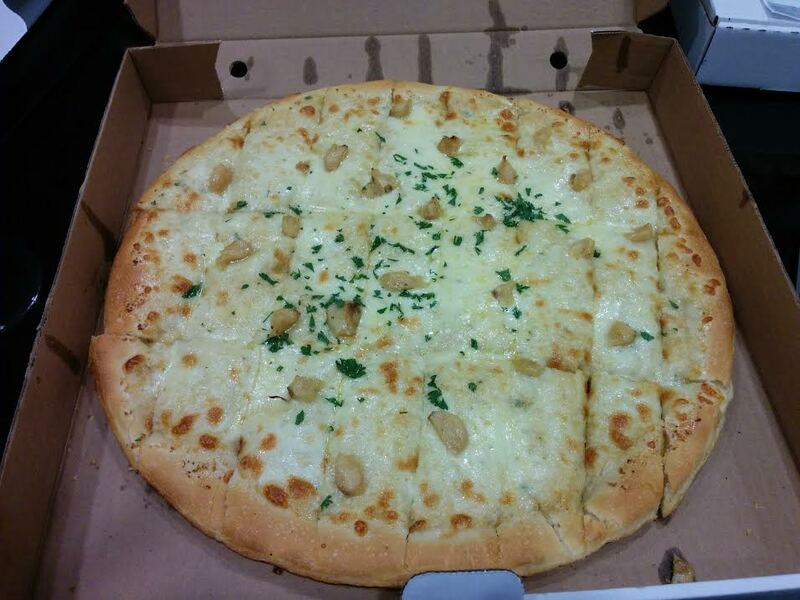 Virtually every pizza shop in Atlantic Canada serves garlic fingers. This beloved regional food is so often taken for granted until people move away and are struck by its absence. 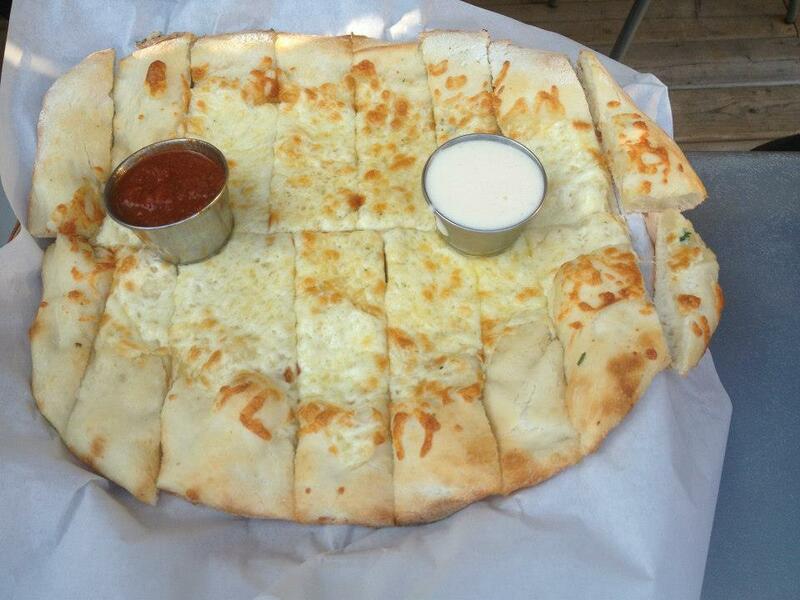 Sure, “cheesy bread sticks” can be found in most towns but they’re just not the same. Garlic fingers are made on pizza dough which is slathered with garlic butter and baked with mozzarella (and sometimes Parmesan). They are cut into strips for dunking. You can make the argument that other places have these but I would argue that they don’t exist anywhere else with such prevalence and reverence. In Wisconsin they have something called “pizza fries” or “Cheese fries” which are exactly the same thing, and likewise with “cheesy bread” in Michigan. They are even sold as a frozen product. 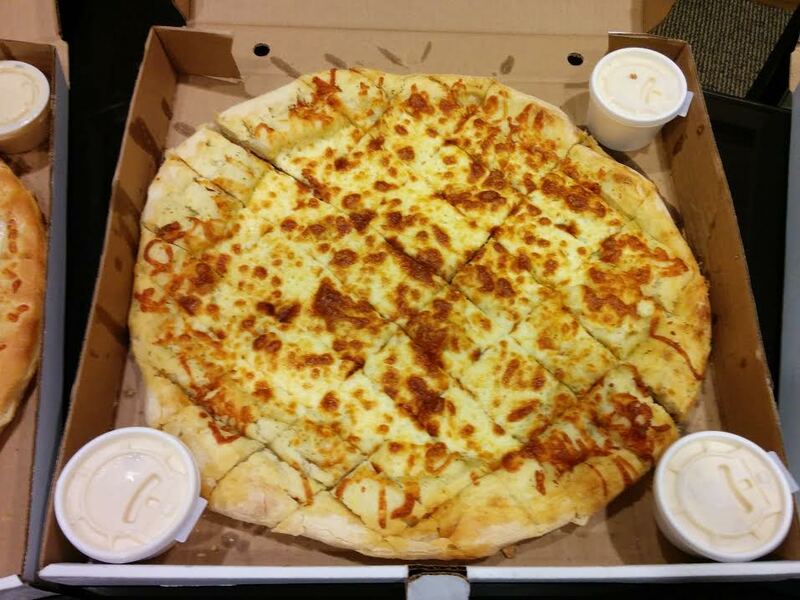 But one of the essential components of Atlantic Canadian garlic fingers is the donair dipping sauce. This pairing of garlic and sweet milk-based sauce is owing to the invention of the Halifax donair in the early 70’s. 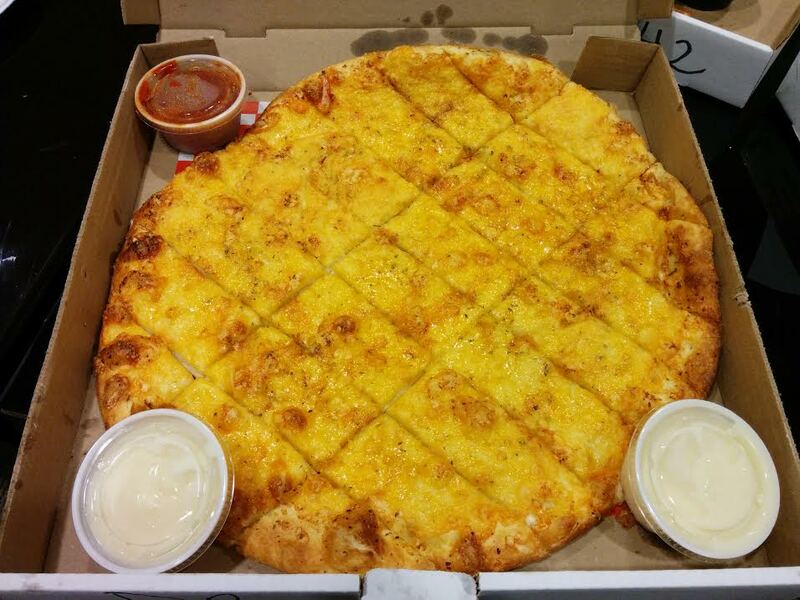 Garlic fingers just aren’t the same without it. I’m not sure who first made garlic fingers in the Maritimes or how they got to be so popular but they’re here and this is how we pizza. 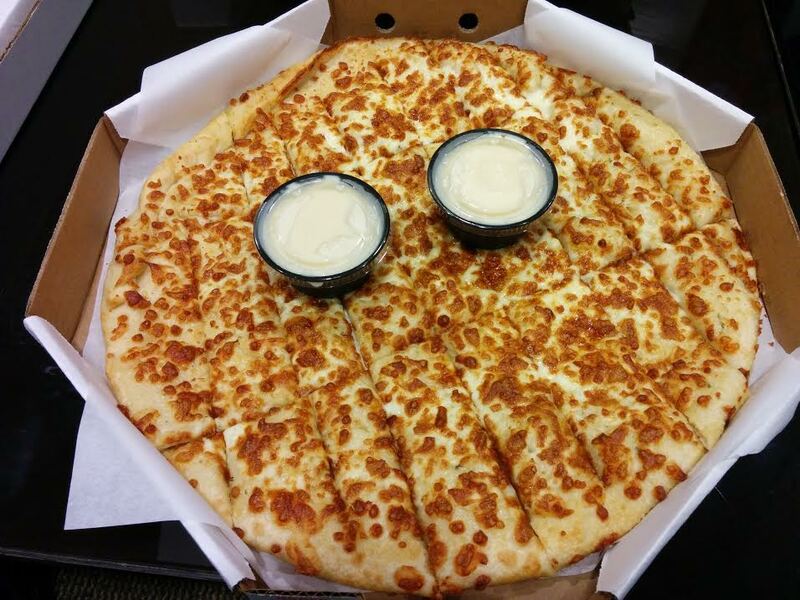 My fondest memory of eating garlic fingers was when I was in high school and we would drunkenly order them at parties. I’m talking about Charlie’s Pizza in Bridgewater, which I remember being soooo cheesy and garlicky. They’d show up at the party and we’d sit around the table eating them fervently. I also did a stint as a pizza cook at Big Red’s where I learned the secrets of donair sauce and garlic finger construction. 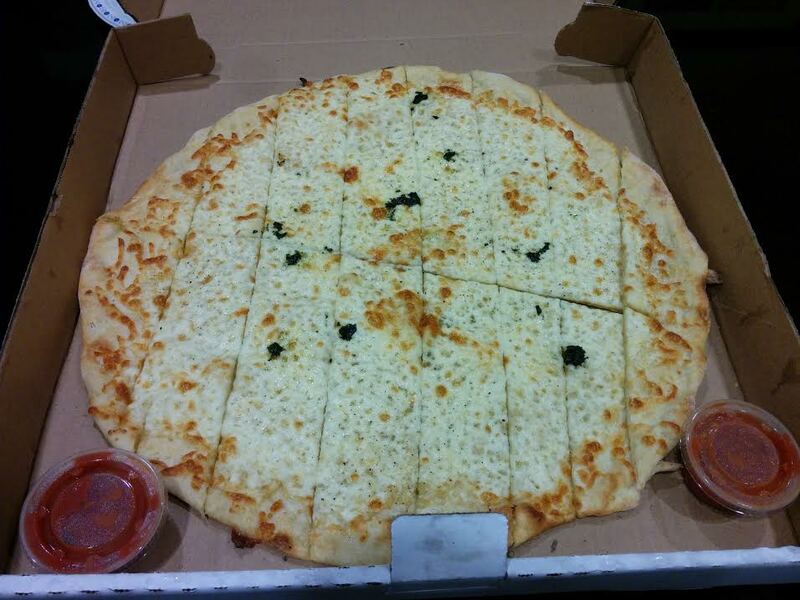 I used to order garlic fingers as an “appetizer” but I’d always gorge myself and have no room left for pizza. Nowadays it’s either a garlic finger night OR a pizza night, and there are lots of shops that excel at one or the other or both. 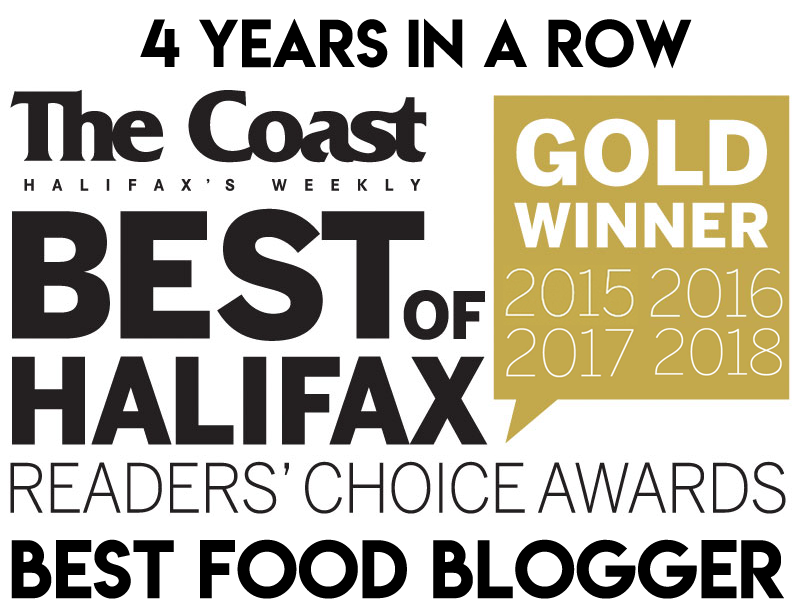 I know this series is about the regional foods of Nova Scotia, but we share many of these foods with the neighbouring Maritime provinces and garlic fingers are a pretty big deal in New Brunswick. Hey – Sackville is just across the border so it’s close enough. I went to Mount Allison University, so it’s safe to say I’ve eaten my fair share of Joey’s Pizza. It was one of the only “nice” restaurants in Sackville. It is a popular pizza & pasta spot for date night, and there is also pizza delivery. 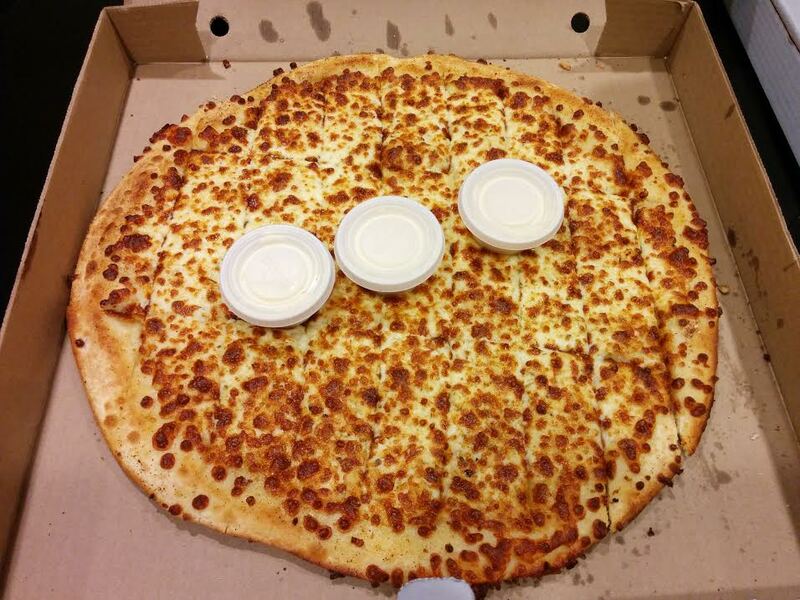 These garlic fingers are my most favourite, ever! They have a crispy, flour-bottom stone-baked crust and ample cheese. An oddity about Joey’s is that they whip their donair sauce so that it is thick like whipped cream. 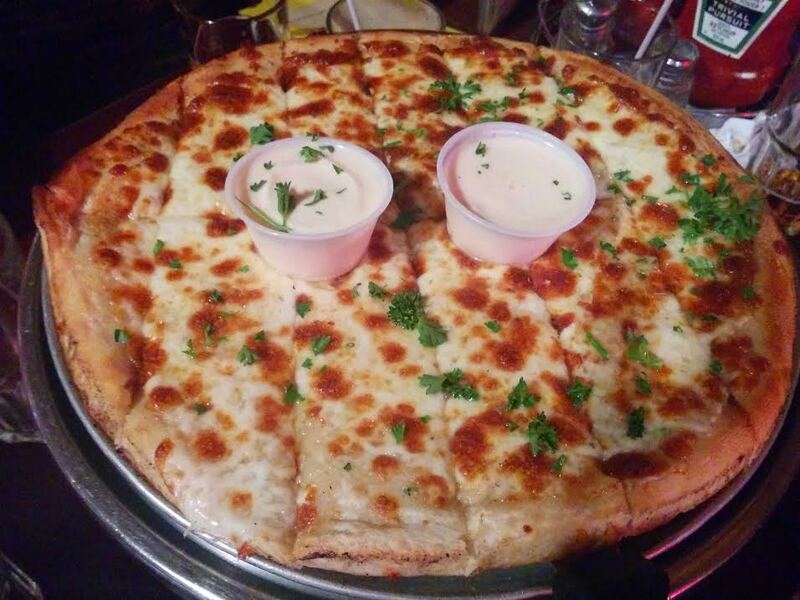 Nothing is better than a personal sized garlic fingers enjoyed right at the bar at the original Freeman’s Quinpool location. Mother’s is the latest gourmet pizza joint to open in Halifax, but unlike their fancypants ilk Mother’s is not above serving garlic fingers, even if they call them “garlies”. They’ve taken a bit of flak for serving these with marinara sauce instead of donair sauce. If that’s not a deal breaker for you, these are quite good and the marinara sauce is superb. With all of the pizza questing I’ve been doing, various people have suggested that I do a garlic finger quest. A thorough city-wide quest, with all that bread and cheese, is an overwhelming prospect. So I decided to host a garlic finger party instead, with a few reputable and interesting options. While I didn’t pursue a formal score-card format, everyone got a chance to vote for their top 3. 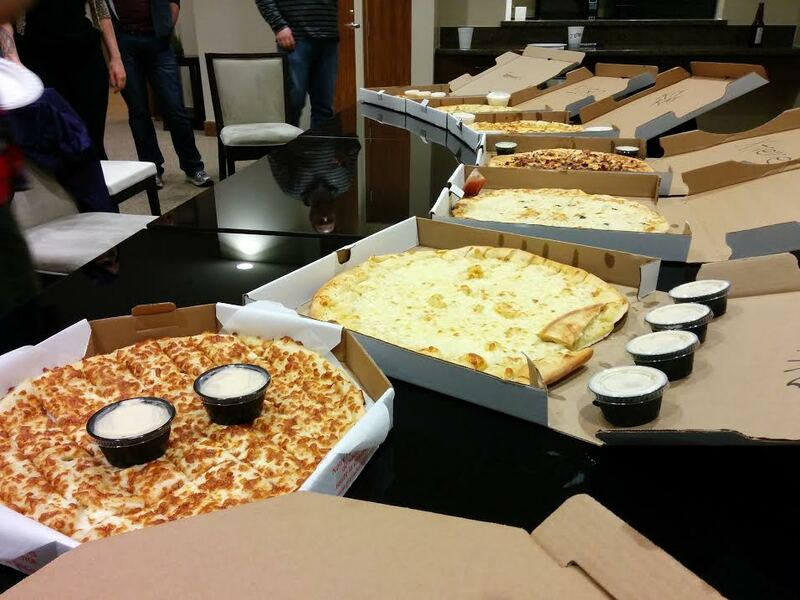 9 garlic fingers were sampled by 10 attendees. 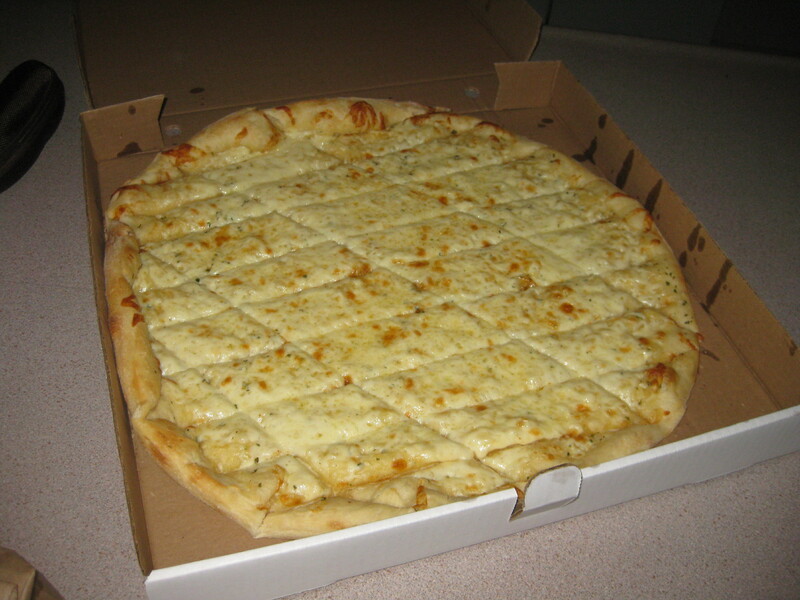 Pizza Delight was started in Shediac, New Brunswick in 1968 and they are famous for their garlic fingers, which are served in octagonal boxes. Like all Pizza Delight cuisine, we found these to be underwhelming. A good baseline garlic fingers, but nothing exceptional and I’m really not a fan of their donair sauce. Kit Kat Pizza is this sketchy looking shop on Gottingen Street, which is off-putting to many people. Yet Kit Kat Pizza has a strange cult following, and they always do well at pizza tastings. The garlic fingers from Kit Kat were simple, classic and good. I expected these to be heavy with cheese and soaking in grease but they were pretty standard except for being cut into very small squares. The cheese was not distributed to the end crust, but the way they were cut severed the end pieces away from most of the cheese anyway. The crust was a bit chewy, but definitely hand-tossed. Mother’s Pizza didn’t hold up well to the car ride from the north end so I don’t think this quest was fair to them. I recommend you try these in the dining room. These fingers were very long, wide and thin and sparsely topped with basil. Despite the limp fingers, several people noticed that there was actually a very nice herbal flavour. The marinara sauce is delicious as well. Freeman’s is also best enjoyed in-house, but their delivery isn’t at all bad. These fingers don’t look nearly as good as the picture earlier in this post but people enjoyed the browned cheese and pronounced garlic flavour. They could have been more cheesy and I’m not a fan of Freeman’s donair sauce but they were still my top pick. Metro Pizza’s fingers were visually appealing, but didn’t have a strong garlicky flavour. I think these are quite good if you have a clean, undistracted palate but they didn’t perform as well as I thought they would on this occasion. I love Metro’s donair sauce. It is more thin than gloopy, which I like, and it isn’t too garlicky. 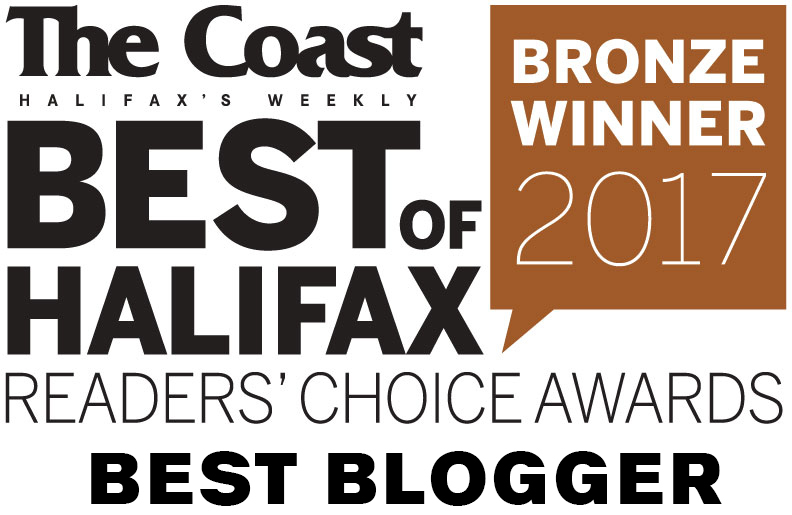 Bramoso claims to have award-winning garlic fingers, but exactly what award is unknown. Their garlic fingers had mozza, cheddar, provolone and Parmesan but they weren’t particularly cheesy. However the sharp cheddar flavour clashed with the donair sauce, leading to some very unhappy palates. There was a general disdain for Bramoso’s donair sauce, except for Denton who thought it was above average. 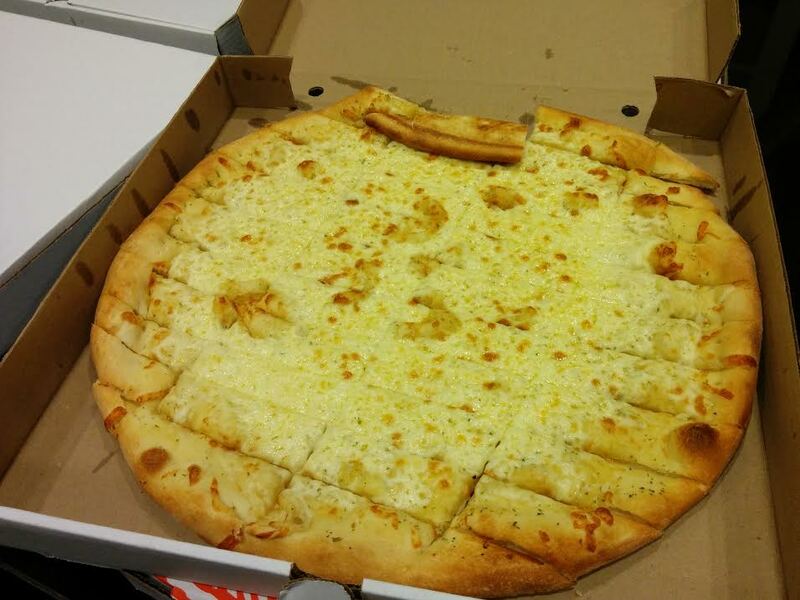 Halifax ReTales described these garlic fingers as “no name cheese microwaved on a coaster”. I actually thought the crust was nice and crisp, if not particularly well suited to garlic fingers. Euro Pizza performed poorly in my pizza quest but I had been hearing wonderful things about these garlic fingers made with roasted garlic and served with tzatziki sauce. 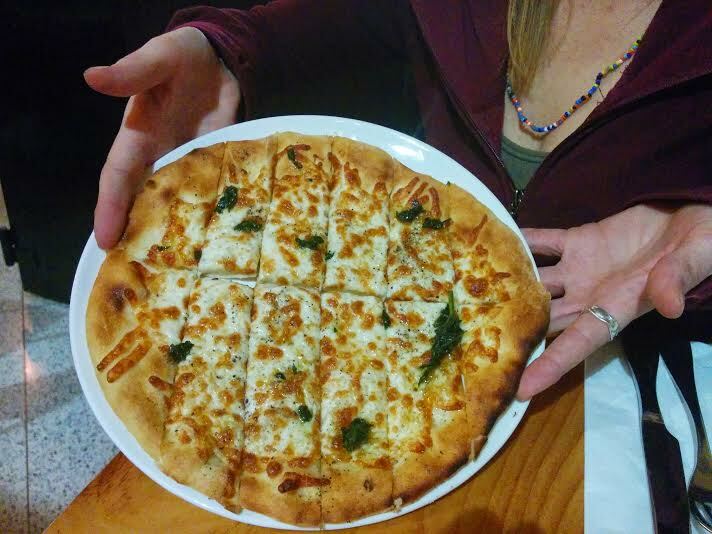 The roasted garlic fingers surpassed all expectation; they were super cheesy and super garlicky! Euro’s tzatziki sauce is actually made from home-made yogurt – thick and delicious. The donair sauce was also quite good. The only thing people didn’t like about these fingers was the thick, fluffy crust. I personally dislike Euro’s crust for pizza but I don’t mind it for garlic fingers. Warning: these are REALLY garlicky! Garlic lovers rejoice! Vampires beware. Another interesting option is the honey garlic fingers at Randy’s, which are regular garlic fingers drizzled with honey. Party goers were intrigued, then apprehensive, ambivalent and finally appreciative. Others felt that the honey killed the mood and interfered with the garlic. The donair sauce is kind of redundant on top of the honeysweet fingers. So much sweet! Despite some ambivalence these performed well. I also think these would be stand-up garlic fingers without the honey. Lots of cheese and a decent crust. 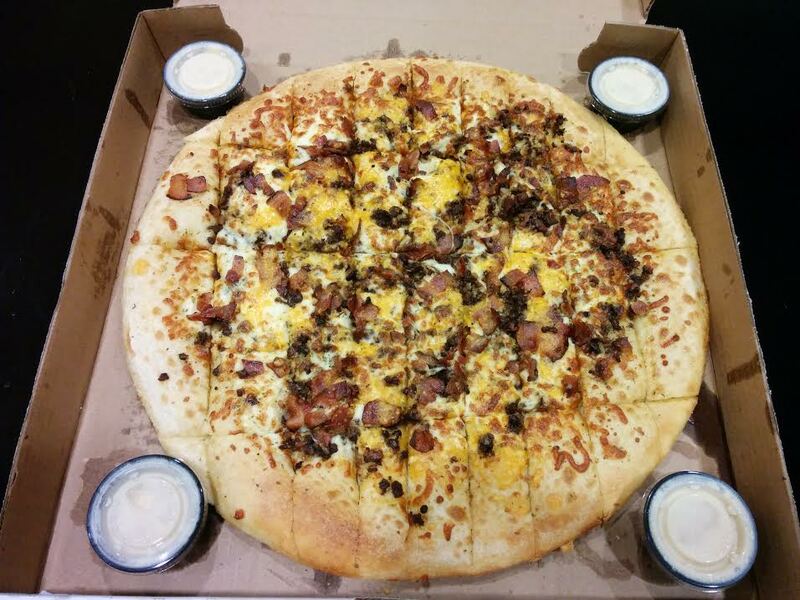 Xtreme Pizza lives up to its name by offering crazy combinations that you won’t find at any other pizza shop, including bacon cheeseburger garlic fingers of all things! Xtreme gets props for using real bacon – without it, these wouldn’t be nearly as good. But at the end of the day we felt that these deviated too much from your classic garlic fingers. Xtreme Pizza is perfect for the late-night stoner who can’t decide whether they want pizza, garlic fingers or a hamburger. Why not get all three?! Happily, the top 3 garlic fingers are also the best value! 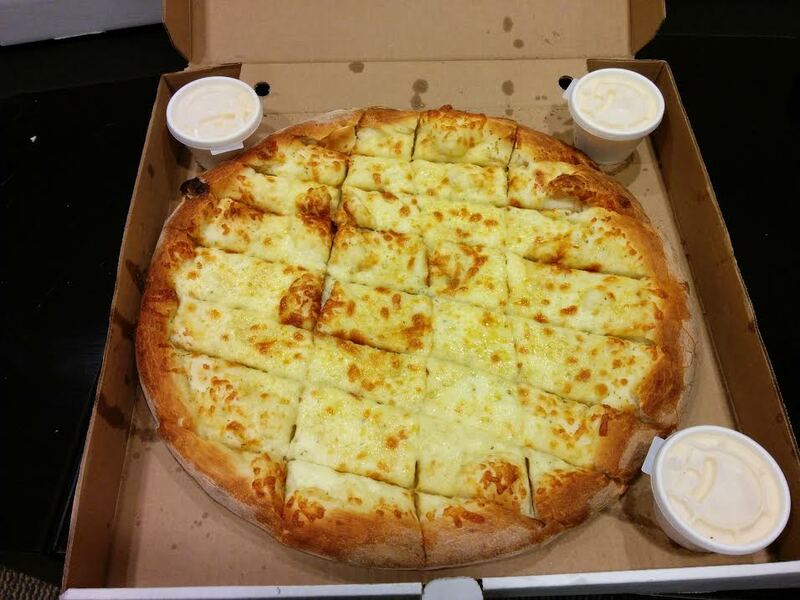 Where are your favourite garlic fingers? Love Euro’s roasted garlic fingers. Like you, I also don’t like their pizza dough. Thanks for reviewing all these pizzas. Glad I came across your site. You worked at Big Reds???? I loved getting their pizza when I would visit my grandparents for the summer in Bridgewater or on lunch break while working for the paper in Lunenburg. Amazing sauce. What is their secret to the sauce??? If you know, please email me so I can replicate it at home. This whole article makes me want to come back for a visit. And find garlic fingers somewhere in Texas.